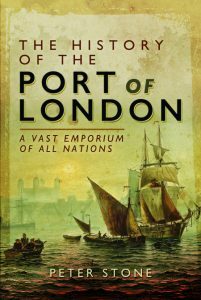 Supplies arriving from the Continent for the continuing military campaigns in the distant parts of Britain were channelled through Londinium, arriving either by ship or across the bridge, and the town was kept busy and wealthy. In the early 2nd century a large stone fort was constructed just to the north-west of the built-up area, at what we now call the Barbican. It was used mainly for housing the many troops who passed through Londinium. Around the town’s central area new structures began to cover more ground. The Emperor Hadrian visited Londinium in 122AD and many public buildings were built or rebuilt for the occasion. During his reign a large forum was erected adjoining the basilica to form the four sides of a large piazza containing an open market. A new amphitheatre, used for sport and popular entertainments, was constructed from stone and brick to replace the previous wooden version to the south east of the fort. Public baths and temples were added and residential areas came into being. On the south side of the bridge was a hamlet of workshops and farm buildings. By that time thirty thousand people lived in the town: soldiers, administrators, merchants, craftsmen, artists, native British and others from different parts of the empire. Grand houses were appearing as well as other monumental buildings such as theatres and temples. The streets and buildings were adorned with statues and frescos of gods and goddesses. From the beginning Londinium was a town that existed for trade and its port gradually became one of the busiest in the entire empire. Initially most of the goods being imported were to supply the military campaign and the first wave of Roman occupiers. As time went on the town grew, new settlements were established around the country, and greater quantities of raw materials and domestic luxury goods were required. Workshops opened in Londinium to produce goods for the local population. In addition to the resident population there were large numbers of troops, officials, civil servants and trades-people continually passing through Londinium and it is not difficult to imagine it as a very cosmopolitan town. The population of Britain is estimated to have been somewhere between one and two million people by the 3rd century, with at least fifty thousand, and perhaps as much as a hundred thousand, living in Londinium, a number that would not be achieved again until the 14th century.